Quiet acreage set up for horses next to Straight River Golf Course. Fenced pastures for horses, new barn, additional 4 stall garage with guest house. Beautiful in-ground pool! Only 4 miles from town. Stunning Lakeville home for sale on 234th Street E. Just under 6,000 finished square feet with amazing private views. Home features large vaulted ceilings, custom millwork and design. You will not want to miss the luxury master suite with sitting room, its own private screened porch, double sided fireplace and thoughtfully designed master closet. The architectural details are beautiful. Your own 10 acres to enjoy wildlife and the quiet setting! Flying Pig Horse Farm for sale! Beautiful horse facility on 36.75 acres by Stillwater. Heated Horse barn is setup with 10 stalls with automatic waterers, fans and a window in each stall, huge heated indoor riding arena (60' x 140') wash bay, tack area, heated lounge and viewing area, bathroom w/front load washing machine. 4 bedrooms/ 4 bath home with 3,800+ finished square feet, 2 outdoor arenas each 100' x 200', heated machine shed/workshop that is 42' x 54', 60' round pen, 60' x 72' hay barn (which holds 2,000 bales in the loft) and 2 storage buildings that are 30' x 40' each. 82 acres located on corner of Briarwood Ave NE, Monticello. Possible development opportunity at the future entrance to the Bertram Chain of Lakes Regional Park. Zoned Ag. Currently enrolled in Green Acres. Great investment opportunity for development. Income-producing Ag land is currently rented. Many possibilities for this perfectly located property. Close to I-94 and Monticello. Delight in living on your own private, park-like setting on the end of a cul-de-sac with 17.52 acres of gentle rolling hills, woods, and abundant wildlife. Home has been updated throughout and features 3 bedrooms / 2 baths and a 3 car insulated and heated garage with extra storage space; two-level, wrap-around deck overlooking ponds, creek, and beautiful views in every direction; 50’ x 80’ barn with 78‘x 152‘ outdoor arena and electric fenced horse pastures; additional 36’ x 54’ insulated workshop that is ready to store your equipment and/or toys. Enjoy horseback riding on your own property, through the horse-friendly neighborhood, or trailer to several nearby parks. Located close to all the amenities of Prior Lake and public access to several lakes. This property truly has it all and you and your horses will love it here! Home has 4 bedrooms / 3 baths and is 2,322 finished square feet. This is a great location just north of town on blacktop road. Income producing 15 acre horse property with a 14 stall barn, indoor arena, and outdoor arena. Barn has a tack room/feed room, hay storage area, and a wash stall. Property also include a 4 bedroom 2 bath home. 2 1/2 car detached garage, and a storage shed. This farm has beautiful views in every direction. This property truly has it all. All it needs is for you to bring your horses! Will be priced at $516,100. Beautiful retreat located on the beautiful Buffalo River in the driftless area in Buffalo county, WI. There are two acres of organic gardens, fruit trees, and a nine hole Frisbie golf course that wonders through the trails on the 21 acre property. Activities range from kayaking, canoeing, Frisbie golf, hiking, ATV and snowmobile trails, skiing and snow shoe wandering. Relax after a day of play in our sauna. We have rooms available in the retreat center, and camping available weather permitting. Riverview Stables For Sale Great Value! 14+ acres with 42' x 110' horse barn with 7 stalls and riding arena, 5 fenced pastures. Very beautiful setting with amazing views. Rambler home with 4 bedrooms, 4 bathrooms. Property also has a 4 car detached garage with separate office/heated work space. Your horses will love it here! Charming turn of the century hobby farm. Ready for horses, goats and chickens, atv's dirt bikes. Goat pen attached to the Taj Mahal of chicken coops with attached storage building, corn crib/hay storage, large machine shed, pig barn and milk house. 3 electric fenced in pastures (one is a large paddock with automatic waterer and 12' x 24' shelter). Gardens galore. 4 acres can be fenced in for more horses or used as a hay field. Located between Northfield and Faribault. This 4 bedroom farm house is on almost 4 acres and has a large barn with stalls with hay loft; 16' x 18' and 32' x 70' outbuildings for your horses. You will love the charm and woodwork in the home as well as the wrap around front porch. Beautiful setting by Fox Lake. Close to the Public Access. The lake is known for crappie, bluegill, sunfish, large mouth bass, northern pike, walleye, and perch. Property has fiber internet, natural gas, new roof and siding on barn and new roof on garage. Spacious End Unit Home in High Demand Lakeville - Featuring Vaults in Family Room, Over sized 2 Car Garage with extra storage area. 3 Bedroom, 2 Baths. All Appliances Including Washer / Dryer, Central Air and Gas Fireplace. FHA financing not allowed. VA financing OK! Wooded lot with pond...ready for your new home! Great Opportunity on Main Street and Hwy 19! Coffee Cafe with new furnace, plumbing, heating and electrical. This is a turn-key business and building with great potential. Full upstairs that could be finished off for more square footage. Great location off of Hwy 3 in Northfield. The is a price spot next to Perkins Family Restaurant, Apple Chevy Dealership and Americas Best Value Inn and Suites Hotel. This area is growing and more proposed businesses will be coming to this area. This spot is high traffic and will get your future business noticed. Great opportunity to own land close to town. This parcel has been annexed be in city limits and can be developed for lots and homes. Seller is willing to do a contract for deed and also willing to rent it back. Gentle rolling 3.92 acre site with beautiful long country views. Small development-bring your own builder! Convenient location offers the best of both worlds-country living with city amenities just 10 minutes away. Located in Priebe Estates. 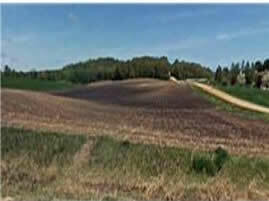 This 9+ acre parcel can be developed for multiple purposes. Seven Miles from Northfield on Hwy 3. Land can be used for residential zoning or possible rezoning for a business. This has parcel has possible water and electric at site. Has a concrete drive that is in place that could be used for possible driveway. Bring your builder or choose our builder. We have supplements for builder info and plans to choose from. Lots are in the heart of Waseca less than a mile from Clear Lake. Current development already plotted and has curb cuts and electric and sewer already in place. Other features include DNR private land that boarders half of development for privacy, and close distance to many of the 15 city parks and Waseca schools.